Times when your air conditioning begins to malfunction or shuts down entirely can make you feel like you’re just trudging through the day. It’s another hot and sticky Florida day, and you want the fast relief that reliable air conditioning offers. This is when it’s good to know that the Winter Springs AC Repair you rely on is just a phone call away. Before you know it, you’ll have fast, soothing relief from the heat and humidity that are a natural part of living in the Winter Springs area. DC / AC Air Conditioning & Heating has helped the people of Winter Springs and Central Florida to stay comfortable in their homes and businesses for over 25 years. With a Better Business Bureau rating of A+, we’re proud to deliver the air conditioning repair in Winter Springs that consistently leads to satisfactory reviews. In fact, 100 percent customer satisfaction is a goal that we strive to achieve daily. Our professional HVAC technicians follow principles of honesty, fairness, attention to detail and integrity as our way of doing business. 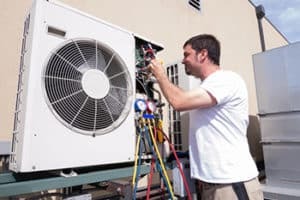 We are also bonded, licensed and insured so you’ll know that you’re getting Winter Springs air conditioning service and repairs that are second to none. We listen attentively to all your concerns and take the time to answer all your questions. 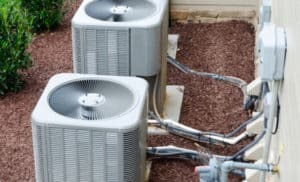 What Happens When You Call for AC Service and Repairs? Having air conditioning that works seamlessly is critical in a place like Winter Springs where the temperatures can soar and humidity can become overbearing. Trusting DC / AC Air Conditioning & Heating to keep your system in top-notch shape will help ensure consistent indoor comfort year round. And the energy savings you’ll experience are a nice extra benefit for your budget! If you should need a new air conditioning system, we know you’ll be pleasantly surprised to learn about the latest advances. Today’s air conditioning systems are eco-friendly, cost-efficient and energy-efficient. Once your new system is installed, you’ll usually experience lowered utility bills which are always a welcome relief. AC systems are also made today so you’ll leave less of a carbon footprint, which is something that everyone can appreciate. Knowing that we can leave a better environment for future generations is heartwarming. Your knowledgeable technician will give you important information on energy ratings and can even help you with the necessary paperwork to get a rebate, depending on the system you’ve chosen to have installed. We don’t leave until the job is completely done to your satisfaction. This is our guarantee. You’ll be happy with your new AC system, and with your Winter Springs air conditioning service. At DC/AC Heating and Air Conditioning, we are proud of our exceptional Better Business Bureau A+ reputation and we strive to always provide the best service possible. Whether you need to have a thermostat replaced or repaired, an annual or semi-annual checkup and tune up, system recharging, or other repair services, we will always let you know exactly what needs to be done and what your cost will be. We will give you our honest and expert opinion and let you decide what you want to have done. We listen to you and give you our best professional advice. It’s like having a friend in the business, because that’s what we strive to be. 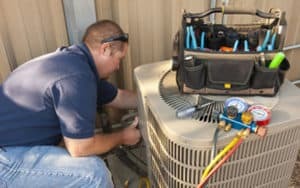 Your continued trust in the Winter Springs AC Repair that so many area residents rely on is what we work hard to keep. 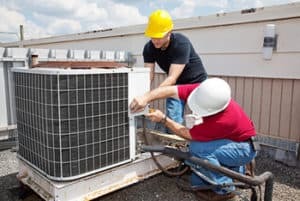 We know that when you’re satisfied with the air conditioning repair in Winter Springs that you’ve received, you’ll recommend us to friends, family and co-workers. This is the highest compliment we can receive, and it’s something we never take for granted.